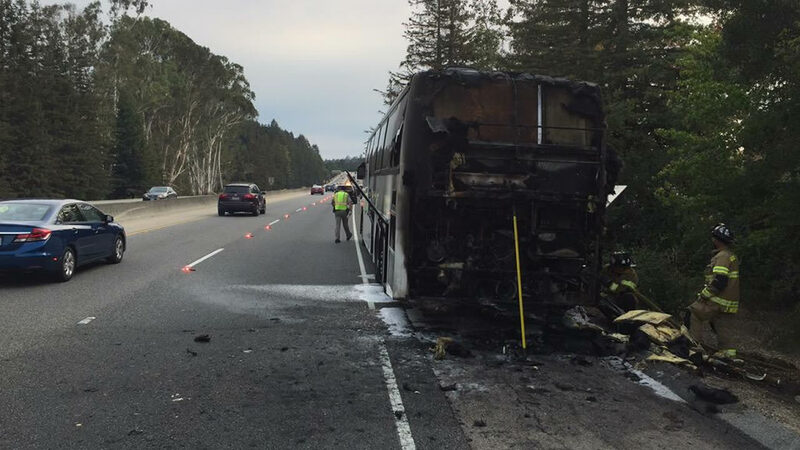 SCOTTS VALLEY, Calif. (KGO) -- The CHP says a tour bus with dozens of children on board caught fire on Highway 17 in Scotts Valley. According to officials, 54 kids were on the bus and everyone got out safely. No injuries were reported. There's no word yet on how the fire broke out.